Ear mites in cats are a problem that most pet owners face. Unless the infestation is severe, it can be treated at home. Though there are many ways to get rid of these little bugs, the home remedies for ear mites in cats listed in this article are 100% effective, safe, and natural at the same time. Ear mites, clinically known as Otodectes cynotis, are a small crab or spider-like parasites that survive inside the cat’s ears. Ear mites feed on the tissue debris and other secretions of the ear. To a naked eye, they are not visible. However, a vet easily confirms their presence. He or she examines with the help of a magnifying otoscope. Once ear mites infest into the cat’s ears, begin the treatment right way. If left untreated, it can be very dangerous. The irritation that occurs due to these mites are so severe that a cat can end up scratching it so deep that he or she may end up damaging the ear drums or ear canals. To avoid such serious problems, get rid of the ear mites in cats at the right time. Note: If the ear-mite infestation is severe; as in, you see blood in the cat’s ears, or the ears are abnormally swollen, don’t wait for the remedies to work. Take your pet to a vet right away. It is important to clean the cat’s ears before applying any of these natural treatments. Take wet, clean cloth and clear out the waxy substance and tissue debris from the cat’s ears. Don’t use tools inside the ears. While cleaning the ears, be very gentle and don’t go deep inside the ears. Take a cup of warm water. Mix 1 teaspoon of calendula essential oil to it. Add ½ teaspoon of sea salt. Mix the ingredients properly in warm water. Use a dropper to pour 4 to 5 drops of the solution into the ear canals. Use some of the solution to massage the cat’s external ear lobes. Repeat the remedy on alternate days for 2 weeks to get rid of ear mites. Calendula: Also known as, pot marigold, this herb has natural anti-fungal and anti-inflammatory properties. Apart from killing the parasites, calendula is highly effective in healing the wounds. The oil works because of two essential compounds in them, which are rutin and narcissi. They assist in regenerating an antioxidant called glutathione, which in turn stops the inflammation and replaces the damaged skin cells. Also, the soluble sterols repair the skin while the linoleic acid acts as an anti-inflammatory and soothes the discomfort. Your cat is pregnant. It is absorbed by the skin tissues and may cause uterine contractions. You are following the remedy for a long term. 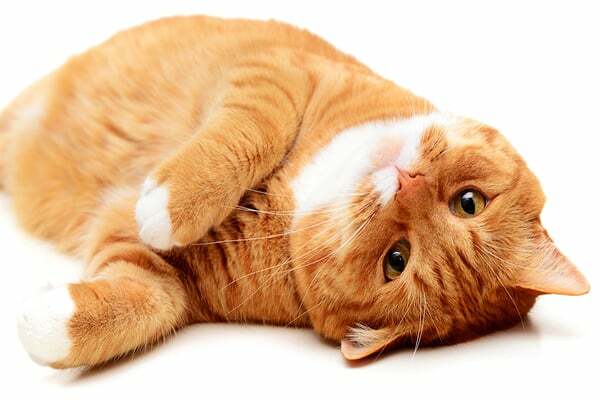 Your cat is allergic to salicylic acid, as calendula has a small proportion of it. Your cat is allergic to the plants belonging to Aster family. Take equal quantities of thyme oil, rue oil, and rosemary oil. Mix them into organic olive oil in 50:50 ratios. Use a dropper and pour a few drops of the prepared solution into the ears. Apply the remedy every day for a week for best results. Rosemary: This herb acts as a flea repellant; thus, helps in getting rid of the parasites naturally. When diluted and applied topically on the cat’s skin, it is reported safe but make sure the cat doesn’t lick the area. Rosemary exhibits antiseptic, analgesic, and anti-inflammatory properties. The active chemical compounds in rosemary include borneol, camphene, linalol, cineole, camphor, resin, pinene, rosmarinic acid, and tannins. Thyme: Thyme has long been known for its therapeutic effects. 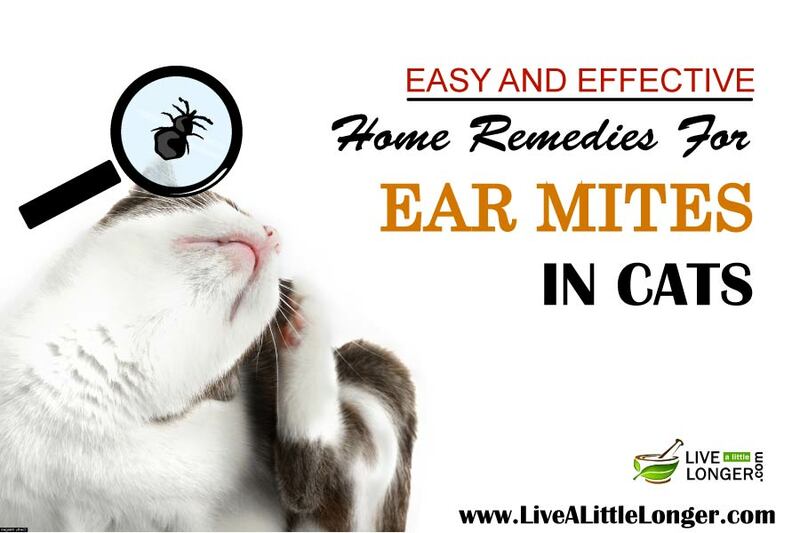 It belongs to the mint family and is one of the best home remedies to treat ear mites in cats. This is due to the presence of two essential compounds named carvacrol and thymol in them, both of which exhibit antimicrobial properties. Rue: Botanically known as Ruta graveolens, rue herb is widely cultivated as a natural insect repellent and condiment. The herb has a bitter taste and highly toxic. However, when applied topically by diluting it with other oils, its potency can be brought down, and it is safe. It has antibacterial, anti-inflammatory, antioxidant, and antiviral properties. The active compound in this herb is called rutin, which helps in fighting skin infections. Olive Oil: This natural oil is one of the best ways to treat ear mites in cats. This is due to the presence of two active compounds named oleocanthal & squalene, which are known to have antioxidant as well as anti-inflammatory properties. Oleocanthal stops the growth of Cyclooxygenase (an enzyme that causes skin inflammation). Your cat is ingesting it. Your cat is allergic to any of the essential oils mentioned above. Avoid using this remedy. You are not sure about the remedy. Talk to your vet before use. Your cat is already under a severe mite infestation. Do not use this remedy. You are using the essential oils directly without diluting it with a base like olive oil. It can turn toxic. Make a natural ear mite lotion by mixing 15 ml of almond oil with 10 ml of lavender oil and cut open 2 to 3 vitamin E capsules. Mix all the ingredients properly in a bowl. Use a dropper and pour 10 drops of the solution into the cat’s ears. Take a few drops of it and massage the external ear lobes. Repeat the remedy every morning and evening for a week. Lavender Oil: It belongs to the mint family and is reported to be safe for treating allergies in pets. This is because it has antibacterial, analgesic, antiseptic, anti-inflammatory, and antihistamine properties. Also, the two main compounds that the lavender oil is composed of is none other than linalool & linalyl acetate. Almond Oil: This essential oil is required to speed the recovery process. It works in healing the inflammation due to the presence of oleic acid and linoleic acid in them. Both exhibit anti-inflammatory properties. It reduces the swelling and discomforting pain from the ears. Vitamin E: Vitamin-E is an antioxidant that is of the type fat-soluble. It is necessary for maintaining a healthy skin in both humans and pets. So, cats are no exception. The reason vitamin E is one of the best home remedies for ear mites in cats is due to the presence of two active compounds named tocopheryl acetate & acetic acid. You are not diluting the essential oils. Your cat is ingesting the mixture. Mix apple cider vinegar and water in 50-50 proportions. Spray the mixture onto the infected ears once a day. Repeat the remedy for 10 days to eliminate cat ear mites. How Does The Remedy Work? Apple Cider Vinegar: Natural ACV is one of the best ways to treat ear mites in cats. This is due to the presence of alkaloids, tannins, acids, sugars, resins, glycosides, bitter compounds, and other volatile oils. It helps in killing the harmful bacteria, fleas, and parasites. You are not diluting the ACV with water. The direct application may cause allergies in some cats. You are not sure of it. Discuss with a vet before using. Take 1 tablespoon of dry, organic yellow dock roots. Boil the herb in a cup of water. Wait until the quantity turns to ½ cup. Strain the liquid and use a dropper to pour 10 drops of it into each ear canal. Take some of the mixture and massage the external ear lobes with it. Repeat the remedy twice a day for at least 10 days. Yellow Dock: Yellow dock herb works as an anti-inflammatory, purifier, and astringent. These combinations of medicinal effects make it an outstanding choice for eradicating ear mites in cats while soothing itchiness and inflammation. The use of yellow dock dates back to prehistoric times when people used it to treat multiple skin problems. However, it clears the mites because it has anthraquinones in it. Your cat is suffering from severe intestinal bleeding. It may interrupt with the cat’s intestine. Your cat has diarrhea, cramping, and vomiting. If the above remedy fails, use this combination instead. Take 4 teaspoons of yellow dock roots (soaked in prior) and boil it with 150 ml of water at least for 10 minutes. Add 4 teaspoons of horsetail (chopped) and 1 tablespoon of yellow dock (chopped). Let it boil for 2 to 3 minutes and then turn off. Strain the mixture and then, add 20 drops of lavender oil. Once it cools, finally, add 6 teaspoons of ACV. Use a dropper and pour half of it into each ear canal. Apply some of the mixture and massage the ear lobes. Repeat the remedy for 5 days. Horsetail Herb: Horsetail is a perennial herb with amazing beneficial properties. It is widely seen in North America and some parts of Asia and Europe. It contains 5% of saponins and other kinds of flavone glycosides like galuteolin, isoquercitrin, and equisetrin. However, it is mainly composed of silica, which is vital to repair the bony tissues. No other herb is as rich as horsetail when it comes to silicon content. Silica, a trace element binds the protein molecules in the bodily tissues. A significant constituent of tissues is collagen, which is also made from the compound silicon. The collagen’s primary role is to perform like “body glue”, promoting the muscular as well as skin tissues to be together. Besides all this, horsetail exhibits anti-inflammatory, healing, antioxidant, antimicrobial, and antiseptic properties. Yellow Dock: As said earlier, anthraquinones in the yellow dock are the major reason this herb helps in treating the problem of ear mites in cats. It also acts as an astringent, purifier, and anti-inflammatory. It soothes the irritation and swelling at the same time. Lavender Oil: This essential oil is 100% safe for cats when used in moderation. In fact, many cat toys and cat litters have lavender oil in them. However, do not use the essential oil directly on the cat’s skin. Dilute it before use. It acts as a calming agent. Its powerful effects directly hit the brain and give a soothing and calming sensation; thus, helping the cat feel sleepy. Apple Cider Vinegar: ACV is a natural flea and parasite repellent in pets. It’s acidic levels help in soothing the inflamed and irritated skin. Apple cider vinegar is fortified with alkaloids, resins, tannins, glycosides, bitterly compounds, etc. You are not diluting the herbs as mentioned in the procedure. Your cat’s mite infestation has already reached its advanced stage. Meet a vet. Take equal quantities of thyme and nettle herbs. Boil them in water to prepare an herbal tea. Strain it and allow it to warm. Fill a dropper with this solution and feed three times a day. Do this on alternate days for 10 days or until the infestation has fully cleared. Thyme: The reason thyme is one of the best home remedies for ear mites in cats are due to the presence of thymol in them. It exhibits strong antioxidant, antiseptic, and antibacterial properties. Nettle: Otherwise called Stinging Nettle, this herb has been popularly used since ancient times for treating allergies as well as hay fever. It helps in curing the irritation and red swollen skin. This is due to the presence of astringent properties. It tightens the topmost skin layer and relieves itchiness naturally. Your cat is allergic to any of these ingredients. You are not sure about it. Discuss with your vet before use. Take a tablespoon of raw, organic honey. Dip a cotton ball in the honey and gently wipe the ear with it. Massage and leave for 30 minutes. Repeat the remedy twice a day until the mites are killed. Honey: 100% organic, raw honey works the best in treating ear mites. This is due to the presence of antiseptic & antibacterial properties. However, the active compounds in honey that do the job are hydrogen peroxide, phenolic & dicarbonyl compounds. You are using processed honey. Use only organic, raw honey. Take 1 or 2 fresh garlic cloves and slice them into thin pieces. Take a bowl and transfer the chopped garlic into it. Add some olive oil into it and cover it with cheesecloth. Leave a little open. Leave it for a day or two. Warm it slightly. Repeat the remedy twice a day. Continue for a week or a month. Garlic: Fresh garlic cloves work the best when it comes to ear mite infestation. It acts as a natural antibiotic. This is due to the presence of a compound called allicin, which is immediately released when it is chopped, bruised, or chewed. Besides this, it also has properties of antioxidant, anti-fungal, anti-carcinogenic, and anti-allergen. Olive Oil: This essential oil helps in smothering the ear mites. Once the parasites smell this oil, they start to move out from the ears. Also, the active component in olive oil – oleocanthal – soothes skin irritation. Your cat has severe skin allergies. The infestation has already advanced. Buy a bottle of colloidal silver from the drugstore. Use a dropper to pour 10 drops of it into each ear canal. Use some of it to rub on the ear lobes. Repeat the treatment every day for a week or two for best results. Colloidal Silver: It is one of the best ways to treat bacterial and parasitic skin infections. It acts an antibiotic and speeds the recovery process. Silver also acts as an amazing antifungal, disinfectant, and antiseptic.Colloidal Silver helps in crippling the pathogens by making them suffocate, and this activity takes place in just 6 minutes of applying. You are not sure about it. Discuss with your vet. You cat is allergic to colloidal silver. Do not use it. Hope, the remedies for cat ear mites listed here were useful to you. If you have any other remedy, which you feel worked the best on your cat and wish to share with us, feel free to drop it in the comments section.